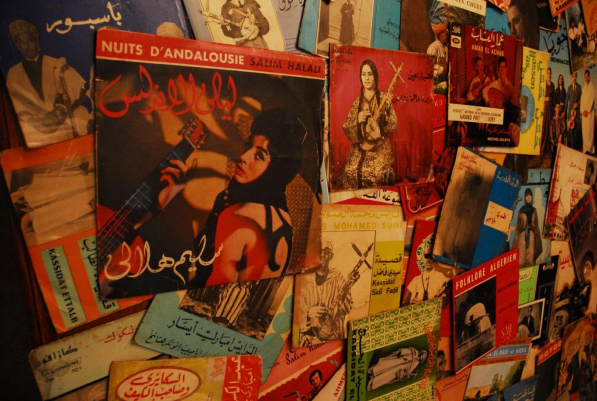 The collectors, producers, musicians, and DJs known as Toukadime, Krimau and Bachir, assembled this mix of Tunisian vinyl specially for Clocktower as they continue their musical travel series through the Maghreb (see also their mixes of Moroccan and Algerian sounds). This program is part of a radio series curated by Margaux Huille of 1:54 Contemporary African Art Fair. Referencing the fifty-four countries that constitute the African continent, the title of 1:54 establishes the parameters of the fair’s ethos: as a platform that strives to represent multiplicity and showcase the diversity of contemporary African art and cultural production on an international stage. 1:54 New York 2016 showcases 17 exhibitors, presenting over 60 African and African diasporan artists at Pioneer Works, 6-8 May 2016.